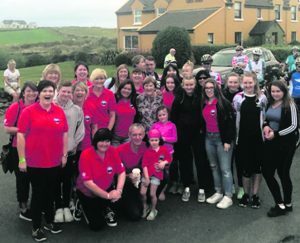 Saturday morning last, 91 eager cyclists were bussed off to Doolin for the very last time as they embarked on The Ger McDonnell Charity Cycle Finale. Our cycle has been in operation since October 2008, a few short months after Kil-cornan man Ger Mc Donnell become the first Irishman to summit the Savage Mountain known as K2. Sadly on Ger’s descent he encountered 3 climbers hanging and left to die, Ger spent hours working on them before releasing them. On their descent an avalanche swept all 4 to their deaths. Last Saturday morning was to be the start of a long and emotional day for Ger’s family and friends. In Doolin, hotelier John Bourke and his wife Aoibhin and newborn daughter Hanorah, released the cyclists at the starting blocks. The buzz around was of incredible pride and excitement as 91 cyclists pushed hard to get over the Cliffs of Moher. By 1:30pm all the cyclists had reached the Killimer Ferry crossing to Tarbert; it was a case of homeword bound from there. 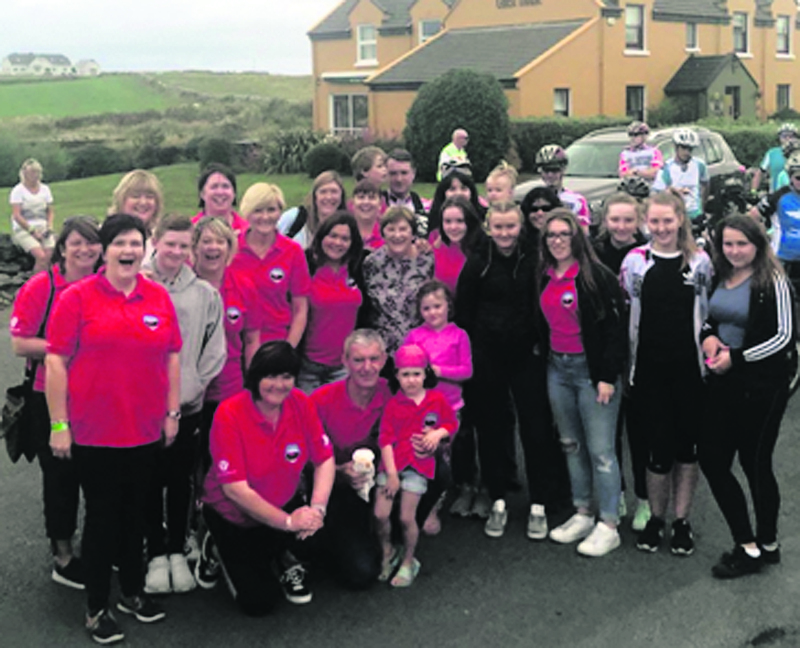 As the cycle was taking place 120km from Doolin, in Kilcornan, in conjun-ction with Kilcornan Community Council, a massive Family Fun Day was taking place. Close to a thousand people passed through the gates to enter an amazing spectacle in the field, BBQ, stalls, petting farm, bouncy castles, inflatable climbing walls, Live music provided by Pennyjam, along with local trad musicians from both Kilcornan and Pallaskenry, Pat Fahy, Firebreathers and many more things. In the rooms of the National School, a museum filled with Ger McDon-nell’s climbing photos, tents and gear was laid out for all to see. Locals who knew Ger looked through the pieces and were astonished that they really knew so little about the man. Local Kilcornan man Paul Shanahan pedalled first through the gates at approx 1:30pm, and many more followed over the course of two hours. At 3:50pm the last cyclist crossed the line and was welcomed by a huge crowd. There was just enough time to enjoy the remainder of the fun day before settling down to a beautifully prepared meal by Bloomers Cathering Rathkeale. Coolcappagh music group entertained whilst dinner was served and the awards and speeches then followed. Some lovely and emotional words of thanks were given by both Denise and JJ – Ger’s sister and brother. Julie Moloney, one of many supporters who stuck with us over the 10 years, took to the mic and presented the McDonnell family with gifts of thanks, which many of the support crew and friends had donated, with a standing ovation from the 250-strong crowd in the hall. We presented various awards to people but the 6 cyclists who cycled each year of the 10 need to be mentioned, Paul Allen, Brian O’Keefe, Mike McDonnell, John Nash, Shay Walsh and JJ McDonnell. Irish trad rock band Kila entertained the crowds for two hours and were then followed by local musician Patrick O’Brien, DJ Eoin Fitz allowed us dance well into the night. Many smiled, laughed and cried as we remembered what a legend Ger really was. We’d like to thank everyone involved in helping us make this day so special, including all our volunteers for helping us make the 10 years. Thanks especially to our main sponsors.